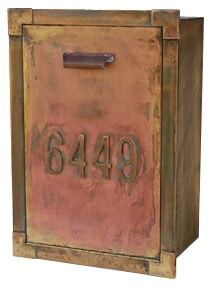 Streetscape Courtyard Wall Mount Mailboxes have a beautiful natural brass finish that catches the eye. Crafted by hand in the USA, from solid brass, each unit is hand cut and spot welded. 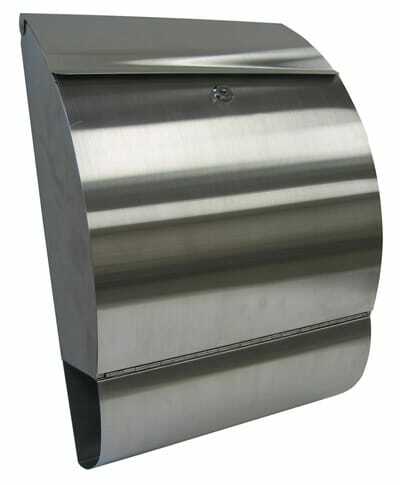 Mailbox can be wall mounted or recessed into a column. Incoming mail door opens wide for easy delivery and closes tightly with a magnetic catch. Natural brass needs no maintenance. If desired, clean with warm water using a sponge, buff with any non-wax furniture polish. 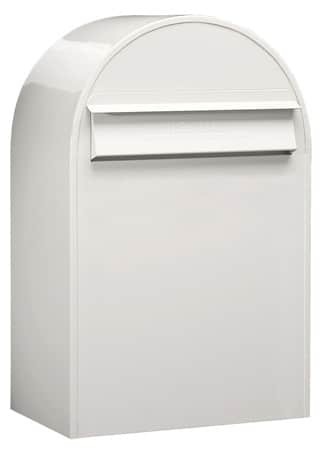 Each wall mount mailbox has unique color segments, with the finish in a variety of reds, browns, pinks and yellows. 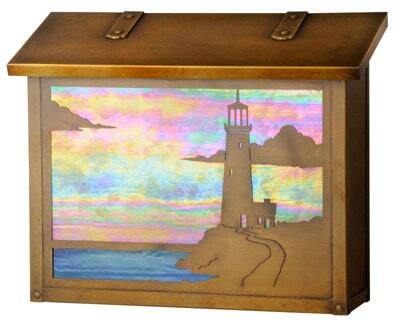 Natural brass finish darkens with age, providing that sought after Old World patina. 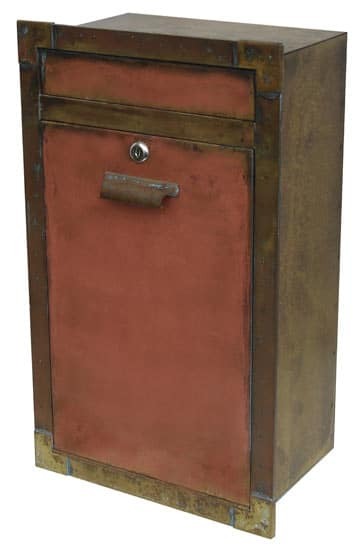 Locking mailboxes have an ample incoming mail slot at the top and access door at the bottom to remove your mail. 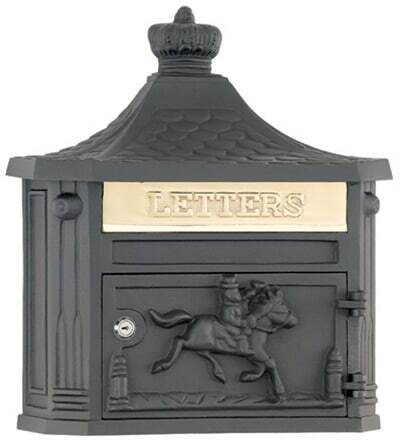 Customize your new wall mounted mailbox with optional corresponding address numbers. When installing please ensure that the mailbox and flange are both slightly recessed into the wall or column. Rough Opening 19.5" 11" 7.75"